Take advantage of our technical expertise and world-class tooling knowledge to achieve your desired results in any engineering polymer. We can guide your components from their initial conceptual stage through to full scale production, advising and honing your moulding operations as we go. Our in-house tool room offers Milling, Spark Erosion, Grinding and Turning services. We create, maintain and repair your moulding tools, so you’re always benefitting from the latest advances in technology. Our skilled and experienced engineers have a wealth of knowledge about thermoset, thermoplastic and plastic injection moulding. This means we’re perfectly placed to advise you on the best material for your application, that delivers a cost-effective tooling investment. We use the latest 3D modelling software from Vero VISI CAD – to support recognised file-sharing such as the ‘STEP’, ‘IGES’ and ‘Parasolid’ formats. This software allows us to perform a full tool design and mould flow analysis. We can also advise on changes to your component to improve the process ability and enhance the overall appearance of your product. What’s more, we can create sample components (SLA, SLS, and 3D digital print to name a few) to act as a prototype for your requirements. It’s a complete Design for Manufacture service to help pre-production on its way. 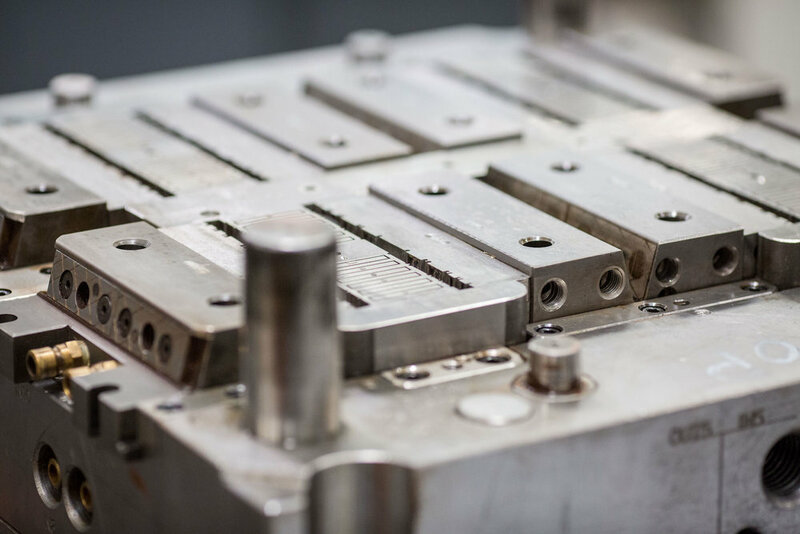 Our fully equipped tooling centre enables us to produce single and multi-cavity moulds, with hydraulic core pulling where required and utilising the latest hot runner technology, and added jigs and fixtures if necessary for product stability. Tools can be manufactured in Aluminium, P.20 steel and various hardened tool steels to match your products requirements. Modifications to your new tools can also be carried out, as well as a repair service to existing tooling if the need arises. ISIR and PPAP submissions and documentation are carried out on all new products. Looking for a cost-effective tool procurement solution? We offer a competitive service for tool sourcing from Europe, Asia and the UK. 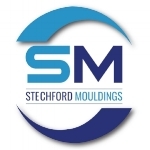 For more information, get in touch with Stechford Mouldings today, and arrange a free consultation with our industrial plastics experts. Experts in thermoplastic injection moulding, our injection techniques are the most popular approach to plastic development. Used in every sector – from consumer technology to aerospace, pharmaceuticals, electrics & hygiene equipment – it’s a flexible means to make any-sized component. Our thermoset injection moulding is a process you can rely on, for any sort of commercial or industry-specific plastics manufacture.With its dedicated production team, Stechford Mouldings has a firm hand on the large, modest, or specialised components you require. Our expertise covers all aspects of production – these services complement our plastic injection and thermoset moulding, meaning we tackle the beginning, middle and endpoint of your manufacturing needs. We are proud to offer an end-to-end plastics manufacturing solution. That’s why our services include thermoset compression moulding for a range of requirements, from large automotive and aerospace parts to small, high quality industrial goods.